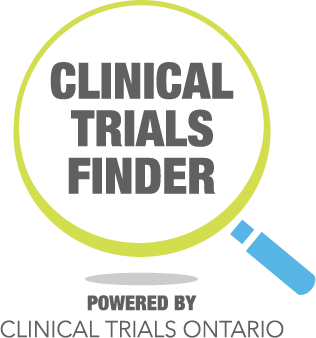 The Clinical Trials Finder is a search tool created to help you look for a clinical trial. The source of information is a clinical trials database* used by clinicians, researchers and companies around the world to provide public access to the trials being conducted. Not all trials are listed on this site. There may be other trials available that cannot be found with the Clinical Trials Finder. The menu on the left-hand side of this page will help you select the search criteria you are interested in. "your demographics" is additional information about yourself (note: "healthyvolunteer" refers to a person who lives without any condition or illness). You can enter as much or as little information as you wish to make your search more or less specific. If you find a clinical trial you are interested in or have any questions about a specific trial, contact information for the clinical trial (if available) will be provided in the information returned from the search. If there is no contact information available, you may wish to discuss the clinical trial with a healthcare provider. In addition to this clinical trial search tool, learn more about clinical trials here.